Kinsale welcomed judges for this year’s Bank of Ireland ‘Enterprise Town’ Award on Tuesday, September 25th having been selected a finalist in the national competition which seeks to find Ireland’s most enterprising town earlier this year. 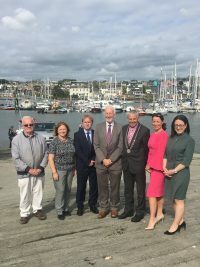 The sun shone and members of Kinsale Chamber of Tourism & Business and local Councillors outlined what it is that makes Kinsale an enterprising town. The presentation was delivered at the Harbour Masters Office so judges could enjoy panoramic views of the town whilst being presented with facts and figures and examples of businesses working with the community to benefit their town. The three judges were Jack Keyes, former Chief Executive of Cavan County Council, Carmel Fox former Chief Executive of Ballyhoura Development and Maeve Cotter, Senior Manager, Bank of Ireland. 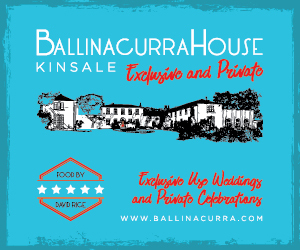 The visit was hosted by Kinsale Chamber of Business & Tourism which works with over 130 businesses in the town to promote Kinsale locally, nationally and internationally via Kinsale.ie. Chairman Ciaran Fitzgerald and committee members Adrian Wistreich, Dermot Ryan, Andy Ashford and Helen Kelleher spoke about the Chamber’s role, about the many awards the town has won, community work, arts and culture, history and how Kinsale is not only a popular tourist town and Ireland’s national foodie town but also a thriving business town, a busy family town and a town which cares for and protects its community. Cllrs. Kevin Coughlan and Alan Coleman welcomed the judges and spoke about the town’s relationship with Cork County Council. Eilis Mannion, Bank of Ireland, Head of Cork County and Maeve Dynan, Brand Manager, BOI officiated. After the presentation Bank of Ireland officials and judges were taken on a tour of the town and visited Kinsale Tourist Office, a number of local businesses and Kinsale Community School to see and to hear what makes Kinsale an enterprising town. 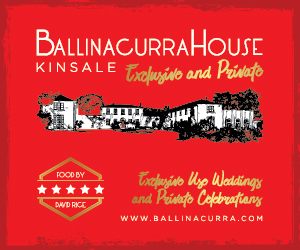 The winner will be announced at an awards night which will be held at The Lyrath Hotel in Kilkenny on November 28th 2018.